The campsites and the roads into the sites are not maintained and can get very overgrown. If you don’t like your car being scratched, then avoid this area. It does however provide a spectacular view of the confluence of the Daly and Douglas Rivers. 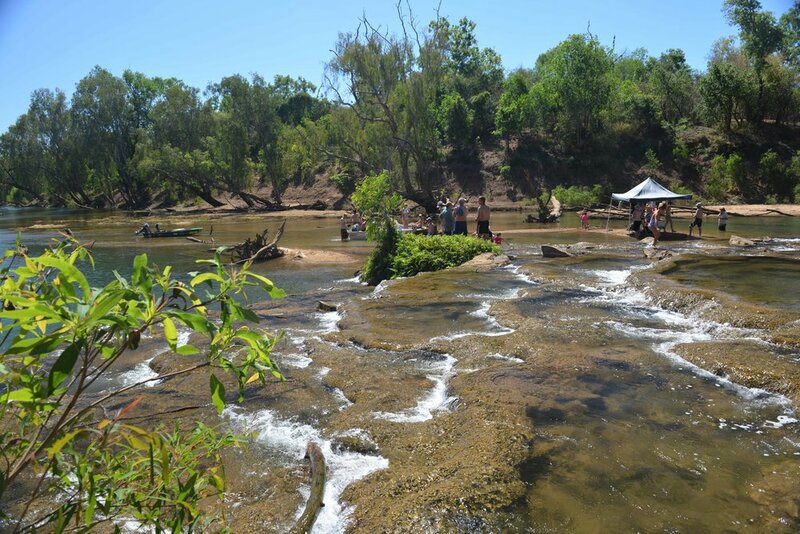 For those who are brave enough to tempt the saltwater crocodile population, a low waterfall and cascade in the Douglas River provides an area to cool down. 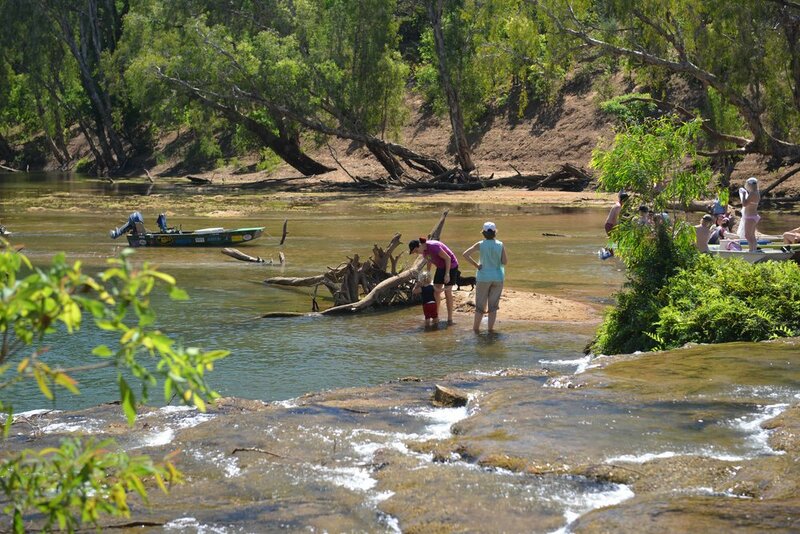 This is saltwater crocodile territory so beware. From the Douglas Daly Tourist Park travel in a southerly direction on Oolloo Road for about 10km, before turning right onto Jungawa Road. This dirt road will lead to the research farm offices (about 13 km). Douglas Daly Research Farm route map. Note routes that are relevant are depicted in yellow, purple and pink. 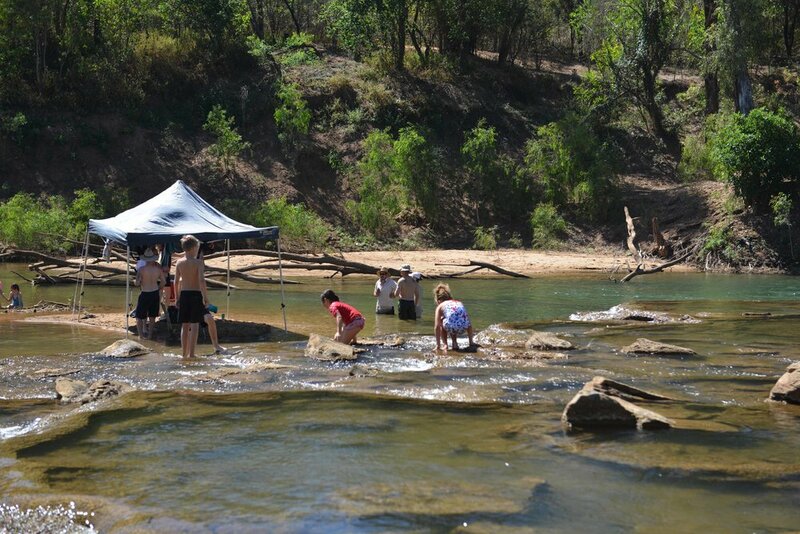 This is bush camping. No facilities exist. Please obtain permission and directions from the office on the research farm to visit or camp in this area. Directions may also be obtained from the Douglas Daly Tourist Park.